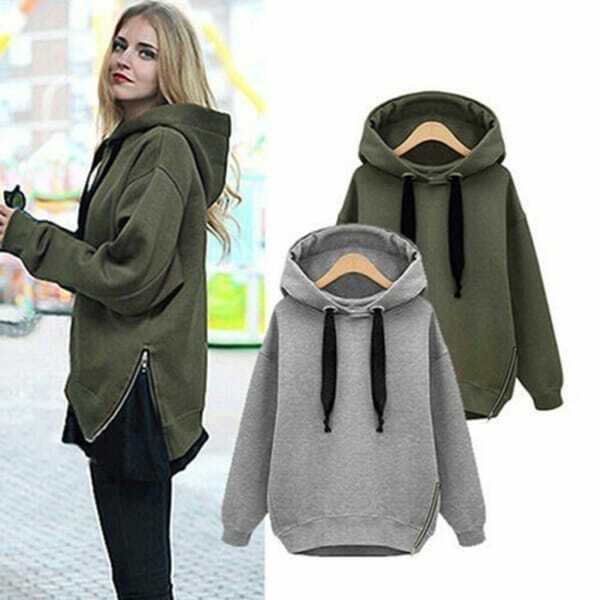 Solid color, long sleeve, loose hooded sweatshirt, perfect gift for you or your friend. Perfect for sport, running, outdoor, shopping and daily wear. Side zipper hem and drawstring design, makes you look more fashionable. This sweatshirt is super cheap! I didn’t think it would look that bad. And it runs really small! Looks so much better on the model but she must be wearing an extra large. nothing like the picture. thin, cheap fabric. i ordered an XL and what arrived might fit a toddler. not tunic length as shown.....very short. dont waste your money. I'm disappointed Overstock.com is willing to sell this garbage on their site and wont shop with them again.